Nearly every professional working with WordPress has heard of the REST API by now, thanks to its core addition in late 2015. However, for the most part, only advanced developers have taken the time to learn how powerful this new feature can be. The WordPress REST API packs a wallop in every up-to-date installation, by providing a built-in API that can be integrated into themes, mobile applications, and more. In other words, it enables developers to separate the front end interface from data management, letting any application interact with WordPress. Learning how to work with this tool can open the doors to nearly endless possibilities for extending your WordPress website. In this article, we will introduce you to the WordPress REST API project, explain why it is such a big deal, then offer some insight on how to use it. There’s no time to waste, so let’s get started! The WordPress Representational State Transfer (REST) API project claims that WordPress is making moves towards becoming a fully fledged application framework. 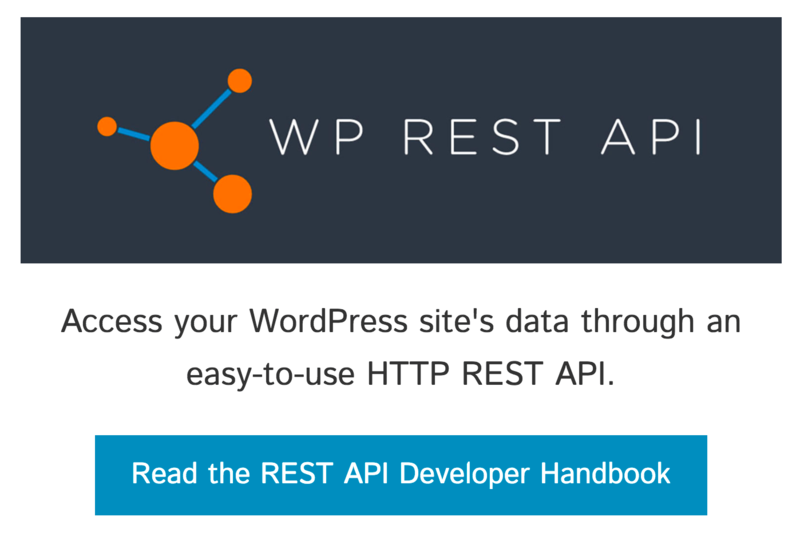 Its very existence supports this claim, as it adds an industry standard REST API to the WordPress core. The project was first uploaded to GitHub for development in June 2013 by Ryan McCue and Rachel Baker. The independent REST API plugin was integrated into WordPress core in December 2015, after gaining a lot of public support and attracting nearly 100 contributors to work on refining its abilities. Event Espresso uses the REST API to provide developer access to their internal infrastructure, making it possible to develop apps based on their services. Simmer enables developers to access the API in order to extend their recipe functionality into fully fledged mobile applications or customized themes. JoinIn powers their own ’embeddable’ widget using the REST API, populating it with appropriate data wherever it’s displayed. This is just the tip of the iceberg when it comes to innovative uses for the REST API. However, let’s now discuss how the REST API works. In short, the REST API works by manipulating textual data from one place to another without direct access to a database or user interface. There are many types of Application Programming Interfaces (APIs), although REST stands out as a modern standard. 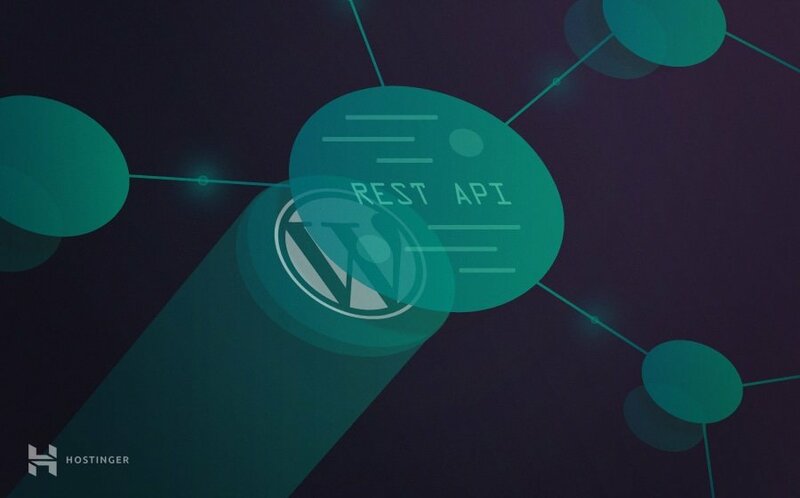 The WordPress REST API is a universal connector from any WordPress installation to any given application on a web server or user operating system. Ultimately, this means the only limit to what can be built using WordPress now is our own imaginations. You can build any application, code with any platform or language, and use WordPress to handle the data via the REST API. The implications of this are enormous, thanks to WordPress’ open and friendly community. By standardizing the way applications (including WordPress’ core) interact with WordPress data, WordPress development will become simpler and more intuitive. What’s more, it will become easier to integrate with third-party platforms. However, the transition period may be a bit rough, which is why it’s important to start learning how to use this technology now. It’s time to take the first steps towards using the REST API in your own work! As we covered earlier, the REST API can be used with any application or programming language that can call an HTTP endpoint (which is most of them). Therefore, we’ll focus on using the command line to execute REST API requests, because it is the simplest method and has the fewest opportunities for programmatic bugs to interrupt your learning. We also recommend setting up a demo site or testing locally, rather than completing this tutorial on a live site. Finally, the only other requirement is that your WordPress site is running on version 4.4 or higher. When you’re ready, let’s get started! ‘Routes’ and ‘Endpoints’. This is the most important aspect of the REST API to understand. Routs help you navigate your way through endpoints, which are when a specific HTTP method (e.g. a static dataset or an action) is connected to a specific route. For example, /wp-json/ is a route configured as an endpoint, designed to show us available routes. Requests. These are made by triggering the correct endpoints and passing along data. Responses. In short, this provides the data you requested or returns an error to let you know what went wrong. Schemas. These are the templates responses follow, so you always know exactly where to look for the right data. Controller classes. In layman’s terms, they enable you to build your own routes and endpoints. For now, you don’t need to worry about these, although they’ll become more useful further along. Once you understand these five concepts, you can begin to delve deeper into the REST API itself, starting with its endpoints. You should be greeted with a successful HTTP message. You can then rinse and repeat this command using several of the main endpoints. This time, we’ll simply use the GET version of curl. You can experiment with each of these endpoints (and more!) in the CLI to review what sort of response is returned for each. Now it’s time to learn about authentication. Some actions and data within the REST API are public, while others require you to be logged in as an administrator. However, this is a REST API, so there is nowhere to log in. Instead, you can authenticate yourself when making any call that requires administrative access, such as viewing unpublished content or updating a post. Start by installing the WordPress REST API Basic Auth plugin. This is a simple developer-only plugin to help you learn the REST API quickly, and is not intended for live sites. However, the installation process is as any other plugin. Authentication will be required for anything other than viewing public information. Once you get the hang of basic authentication, you can explore the other options recommended by the REST API documentation for your production code. You can use this to select a given ID for any REST API endpoint, whether you want to view a post, page, or taxonomy. Finally, let’s try sending an update to your selected post. Instead of using the OPTION or GET commands, this time we want to POST a change. GET is used to read data, while POST is used to send it. Congratulations! You just made your first administrative edits using the WordPress REST API. Of course, this basic tutorial barely scratches the surface of what the REST API can do, but at this point the sky’s the limit! The WordPress REST API is a powerful new addition to WordPress’ core, and few developers have even begun to scratch the surface of its capabilities. As a consequence, getting onboard now and learning to work with it can make you more valuable as a developer, and enable you to create apps using WordPress as a framework. Familiarize yourself with the key concepts of the REST API. Get to know the most useful REST API endpoints. Learn the basics of REST API authentication. Select your first WordPress post with the REST API. Update a WordPress post with the REST API. 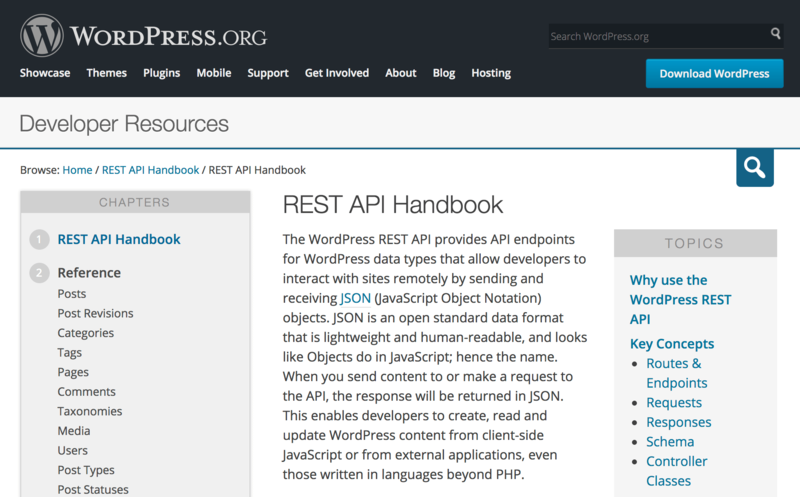 What questions do you have about the WordPress REST API? Let us know in the comments section below! We are referring to wordpress.org in our tutorial.